The fitness center is now closed after school. Photo by Ashika Shah. nation, we are beginning to address this problem. There have been movements promoting active, healthy generations for the future such as the NFL ‘Play 60’ campaign, and Lets Move, headed by First Lady Michelle Obama. However, even at a school like Andover High, which is very competitive in the athletic area, challenges to staying fit still exist. The fitness center, located in the Dunn Gym, has always been a place for students, and even faculty, to work out. However, as of last June, it is no longer available for use after school. The fitness center has been a way for all students to stay in shape. On Tuesday, Wednesdays and Thursdays, anyone could come from 2:15 to 3:30 p.m. and work out. It is filled with lots of weight-lifting machines, treadmills, and stationary bicycles. The fitness center was closed due to a federal grant of $780,000 that began in September of 2009 and then ran out last year in June. The federal grant was awarded to Andover High School after money budgeted for intramural programs ran out. Since then, intramural programs (including the fitness center) have been using this grant money, until this past June. 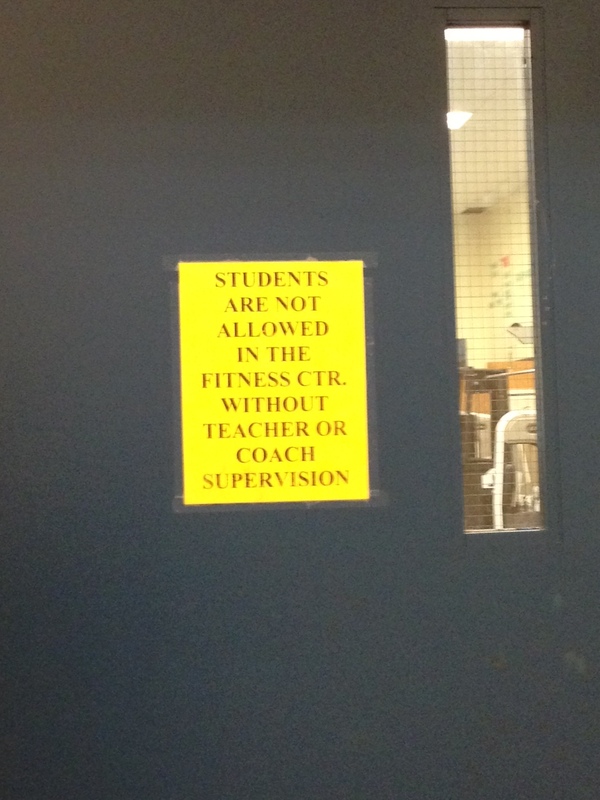 Because there is no money to pay qualified teachers to supervise, students aren’t allowed to be in the fitness center alone after school. Ms. Emery believes that physical fitness is important for everyone, not just high school kids, to maintain healthy lifestyles. She thinks that promoting physical activity is a great way to understand the importance of fitness for a lifetime. With the growing competition at high school varsity levels, the need to stay in shape is critical for making any team. Many coaches want athletes who give 100 percent of their effort at all times. This means that kids need to be in peak condition to be able to sprint, block, skate, and more. At Andover High, competitive sports teams aren’t for everyone. The fitness room gave all students an opportunity to work on personal strength, fitness, and endurance. It not only helped athletes stay in top condition, but it also served as a great resource to reduce stress in today’s highly rigorous academic environment. It is unfortunate that students no longer have this outlet to help them work out and stay in shape.